After demonstrating the ability to traverse Munar terrain on rovers, the Kerbal Space Agency devised a method to extend the surface mission duration with the LV-1S Munar shelter. 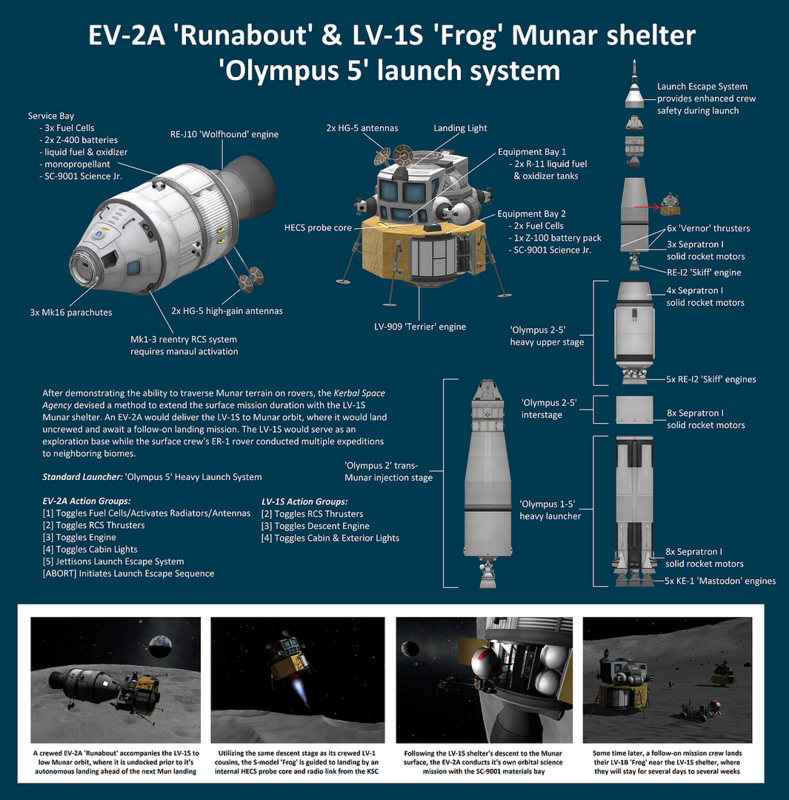 An EV-2A would deliver the LV-1S to Munar orbit, where it would land uncrewed and await a follow-on landing mission. The LV-1S would serve as an exploration base while the surface crew’s ER-1 rover conducted multiple expeditions to neighboring biomes.